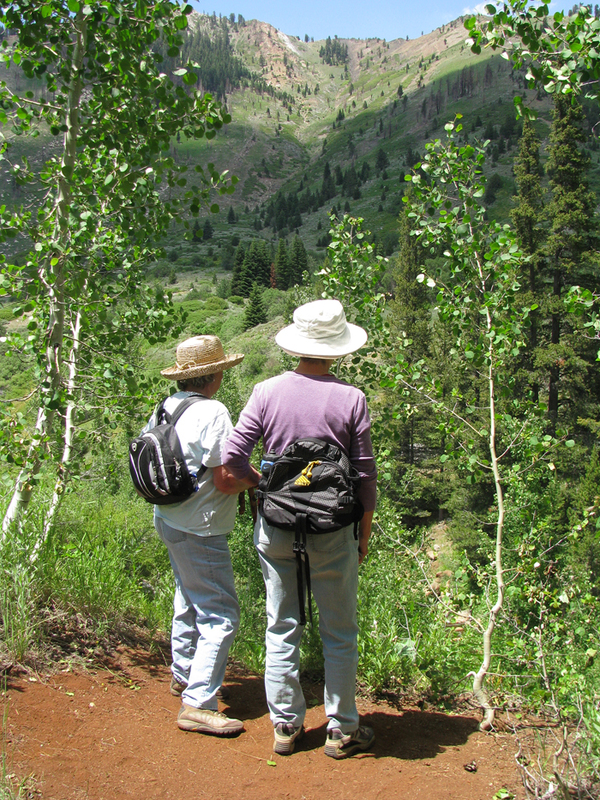 On Saturday, September 12, 2015, join the Alta Peak Chapter for a leisurely hike along the Cold Springs Nature Trail in Mineral King, Sequoia National Park. The field trip leader will be Interpretive Park Ranger, Josh Schultz. Participants will explore this beautiful Alpine Valley and learn about the unique challenges it presents to the plants that call it home. The aspen trees will be changing color and the group will be able to enjoy a touch of autumn in the air. Cold Springs Nature Trail is two miles long with no significant elevation change at around 7,800 ft. It is a dirt surface with a few rocky areas. The walk will be about one and one half hours. Meet at the Cold Springs Bridge at 12:30 pm and the field trip will begin at 1 pm. California Native Plant Society field trips are free and open to anyone. Bring lunch or a snack, water, a jacket as it may be chilly, a magnifying loop and favorite plant guide. Directions to Cold Springs Trail: Follow highway 198 east towards the Sequoia Park entrance. About two miles before you enter the main park, you will see a sign on your right for Mineral King Road. 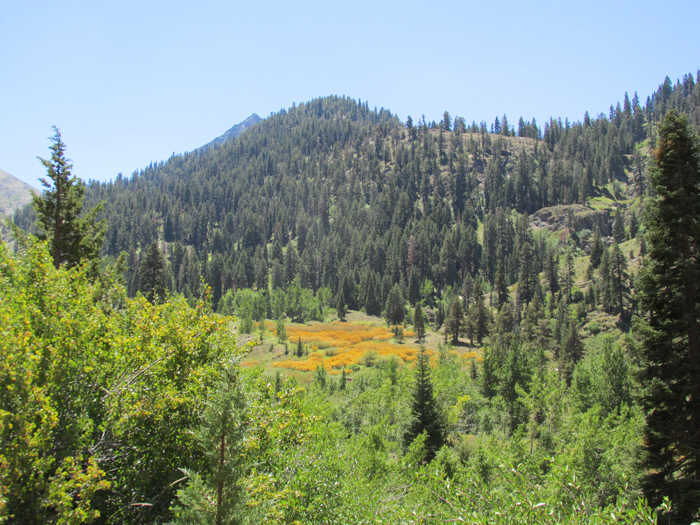 It will indicate 26 miles to Mineral King.The road is very narrow, winding and poorly paved in places. A few sections are still dirt. It will take about an hour and one half to reach Cold Springs from the turn off at the junction of 198. To join a carpool, meet at the Three Rivers Veterans’ Memorial Building lower parking lot at 10:30 am. The Memorial Building is on Highway 198 at the eastern end of Three Rivers. Drive east, past the Three Rivers Elementary School on the right, past the Baptist Church, also on the right and continue east on Highway 198 for a few minutes. Drive past Reimer’s Candy, a big red shop on the left and past the closed We Three Bakery on the right. Just past the Community Presbyterian Church sign and driveway, on the right, look for a “buckwheat hedge” with rust colored flowers and behind that, a large parking lot as well as a marquee announcing the Veterans’ Memorial Building, which is also host to one of several community California Native Plant gardens. For more information, contact Shelley Quaid, Alta Peak Field Trip Chair, at 559-623-4233.